Cyber security is the practice of defending your company’s computers, servers. networks, and data from malicious attacks, damage, and unauthorized access. Cyber-attacks and data breaches are on the rise, and your small business needs to be thinking about how it can protect itself. In 2018, cyber attacks were up 32 percent in the first three months of the year and 47% from April to June compared to the same periods in 2017, according to USA Today. More and more small businesses have been targeted, and you need to fight back if you don’t want to become another statistic. Small businesses are vulnerable because they have fewer cybersecurity resources to bring to bear in response to a breach. With tight margins, reduced cash flow, and fewer specially-trained staff to deal with the fallout, you’re left with fewer options when it’s time to recover from the impact of a hack. There are, however, things you can do to make sure that your business is a difficult target for attackers. Here’s are 5 things you can do to prevent a data breach or cyber-attack of your business. When it comes to making sure that you have a good baseline of security software in place, you want to start by looking at your firewalls, antivirus software, encryption, and endpoint detection response solutions. For firewalls, focus on the types of attacks it will protect you from, as well as the degree of visibility and flexibility it offers in terms of how you configure it. Most importantly, you need something that can scale with your business as it grows. Antivirus software can often be a double-edged sword. On the one hand, it can be vital to protect your business from new types of attacks. On the other, it’s hard to decide that any single piece of software is 100 percent worthy of your trust—what happens if your anti-virus software gets hacked? Go with what you trust, and make sure that you’re installing updates as soon as they become available. One of the biggest causes of security breaches are disgruntled employees who still have the proverbial keys to the car. Take a look at your security practices around offboarding employees, and make sure you’re deleting their accounts as soon as they’re off the team. Take a look at key shared logins and put a process in place so that you don’t have to change everything every time you change your team. 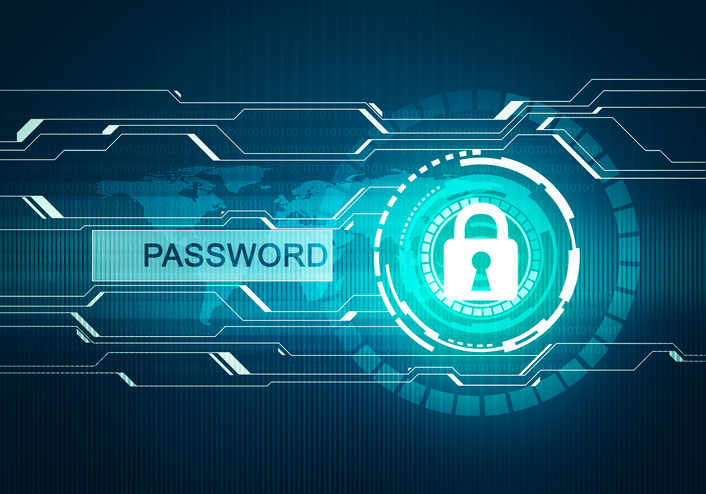 A password manager like LastPass or Dashlane can be a big help, sharing key passwords with everyone who needs them while managing access to those passwords. The Verizon 2016 Data Breach Investigations Report found that 63% of data breaches occurred due to lost, stolen or weak passwords. According to another study, 65% of small businesses that have password policies, don’t actually enforce them. In today’s BYOD work environment, it’s essential that all employee devices that access the company network be password protected. Employees need to be required to use passwords with upper and lowercase letters, numbers and symbols. Additionally, all passwords should be required to be changed every 60 to 90 days. As they say, a chain is only as strong as its weakest link, and unfortunately, the truth is that humans are often the weakest link when it comes to web security. Major hacks, like those that Russian hackers used to try to infiltrate US state voting systems in 2016, were done via a technique known as “spear phishing.” These attacks attempt to fool someone on your team with email spoofing and more to appear like a Google Doc or password request in order to access key files. Unfortunately, the answer here is more complicated than “install X piece of software.” You need to bake security into everything that you do. Your team needs to be trained to look out for these kinds of attacks and be in the habit of following up on anything that looks suspicious. Two-factor authentication can be a major roadblock for would-be spear phishing attackers. Not only do they need to get your email login, but they also need some way of accessing your phone or the information that is texted to it. At the same time, two-factor authentication not a silver bullet. More sophisticated man-in-the-middle attacks can still harvest that information. At the end of the day, it’s still up to your team to use their common sense and be on the lookout for suspicious messages. Preparing your business to respond to attempted data breaches often comes down to a question of numbers. The fact of the matter is that, as a small business, you don’t have the same resources to pour into IT and web security as larger targets. At the same time, hackers are only getting more sophisticated, and they get the advantage of choosing their target. Managed IT services can level the playing field, giving you access to the same kind of resources that much larger companies use to handle their IT security. A managed services company is only focused on one thing, network security, which means that they have the experience, staff, and know-how to deal with major threats to your business. Things like 24-7 network monitoring and immediate threat response are suddenly affordable and accessible to your company on a small business budget. More importantly, a managed services company is able to scale with your business. As you get more business and the amount of data you’re protecting grows, you’ll know you have the IT services you need to handle that data responsibly. As we shift into 2019 and look forward to the future, the risk of a cyber attack continues to grow. Small businesses represent promising targets because they often lack the resources needed to repel a sophisticated attacker. What’s more, few have a plan for what they’ll do if they fall in the crosshairs. Here’s what you can do right now to protect your small business. Make sure your firewall and antivirus software is up to snuff. Audit your offboarding process to ensure you’re not leaving the door open. Create a culture of security to protect yourself from spear phishing and man-in-the-middle attacks. Consider managed IT services to take your security to the next level.